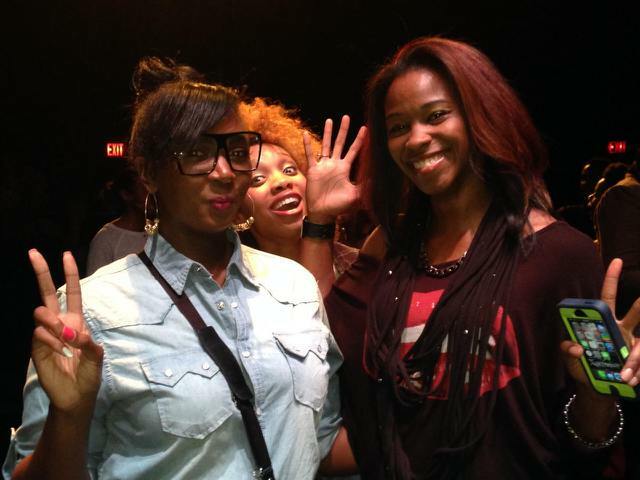 This past weekend, I had the opportunity to go and support a friend at Emerging,a choreographer showcase. I’m so happy that I decided to go. Unfortunately, I got lost on the GA Tech campus and missed the first three pieces. That was a major bummer, seeing as how the rest of the show was so great! The remaining 7 pieces were outstanding! Each choreographer had to create a 5-minute piece, using professional dancers from the Atlanta dance community. There was no set genre, in fact, each choreographed piece was very unique in that sense. Some pieces incorporated multiple genres of dance. Many of the pieces told stories, but one performance took on the shape of a music video type of visual. After each 5-minute piece, each choreographer stood in front of a panel to receive critiques and praises for their pieces. The panelists were Melanie Lynch-Blacnhard, Juel D. Lane, and Daryl Foster. The choreographers involved were Mario Tyler, Gary Beauford, Anthony Marquis, Mallory Hazen, Jordan Galloway, Brandon Forrest, Nateli Ruiz, Chris Plunkett, Keith Nedd, and Jessica Ogelsby. As I look back on the event, I can’t help but to think how talented these people are. Not to mention, the dancers were amazing! They showed so much passion during their performances, which was very important in regard to helping the piece come to life. Although I went to watch my friend dance, I have to admit that my favorite piece was created by Jessica Oglesby. It was awesome! The story-line was great, and the dancers were incredible. I’m just amazed by her ability to have put together something so dope! I’m not sure when the next Emerging showcase is, but I highly recommend it as something you should do. It was worth every penny! Posted on Wed.May.07.2014, in Entertainment and tagged #AtlantaDanceCommunity, #GottaDanceAtlanta, #YourFavoriteBlog, Art community, atlanta, Atlanta Dance Community, Choreographer, Choreographers, Choreography, Dance, dance community, Dance in Atlanta, Dancing, Daryl L. Foster, Emerging, entertainment, genre, Gotta Dance Atlanta, hip hop, Juel D. Lane, Melanie Lynch-Blanchard, Move to the beat, Music Video, professional dancers, the arts, Things to do in Atlanta, Your Favorite Blog. Bookmark the permalink. Leave a comment.